WTIM, People’s Bank and Trust November 2018 Taylorville High School Students of the Month Announced. 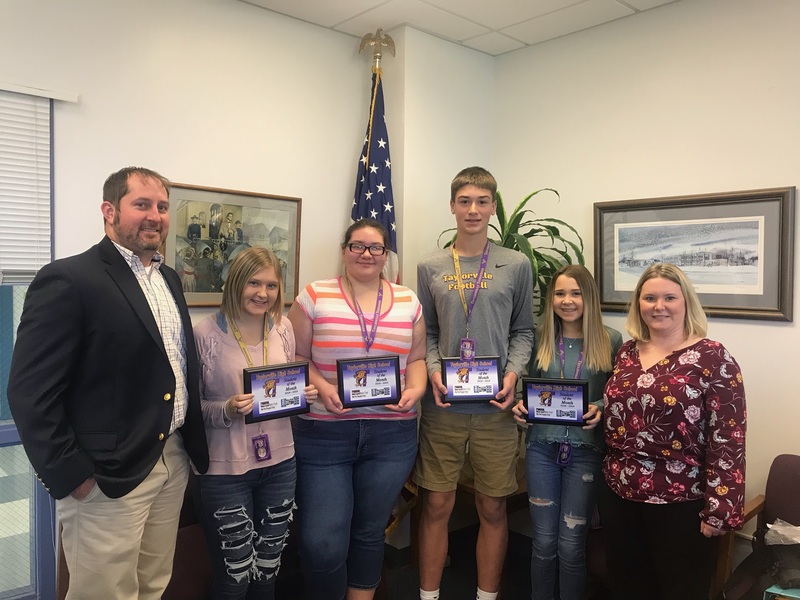 News Talk WTIM and People’s Bank and Trust Taylorville Students of the Month for November were presented with their awards recently. Pictured left to right: Peoples Bank & Trust Representative Jordan Ruppert; Senior McKenzie Whitehead; Junior Rylee Miller; Sophomore Sean Czajkowski; Freshman Mia Lane; Peoples Bank & Trust Representative Lindsay Lopian.